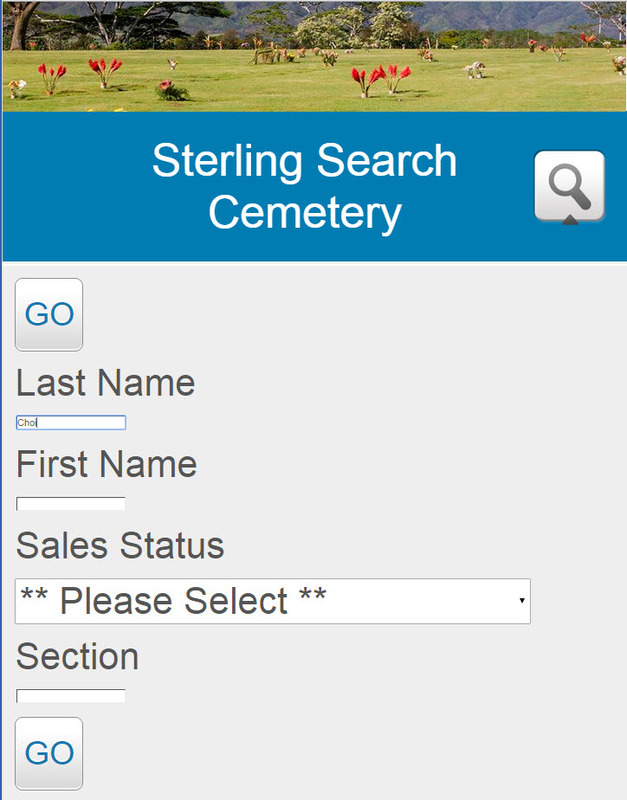 Click the to see how easy it is to find a loved ones grave or available spaces. Placement plans are supported so that you can take orders for flowers, flags, wreaths or whatever you sell for specific holidays. 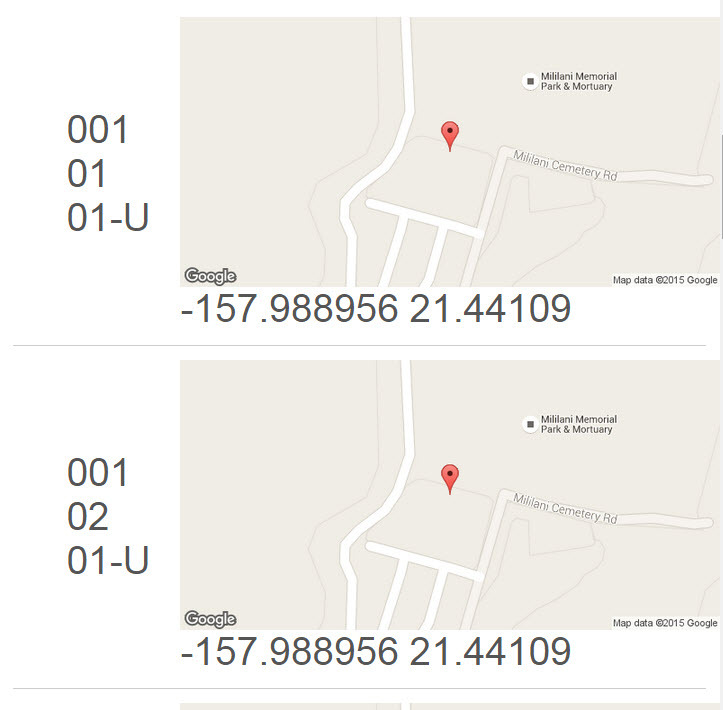 We make it easy for you to place them by giving you a report, and by showing you where they go on the map. 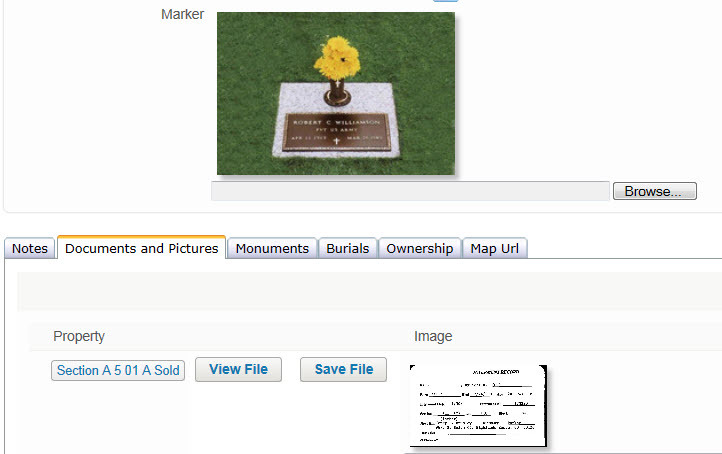 Define your cemetery exactly like your maps. No coding necessary. Attach pictures of your markers and connect unlimited pictures and scanned documents to each property space. Every Sterling system includes a Phone AP that connects to your database. Salespeople can use their phones when out in the yard with the family to easily find Available spaces. Grounds keepers can look up a persons name on their phone when someone asks. When Latitudes and Longitudes are stored, the phone shows where the grave is as well. Even people who don't enter any data, can easily find what they are looking for. 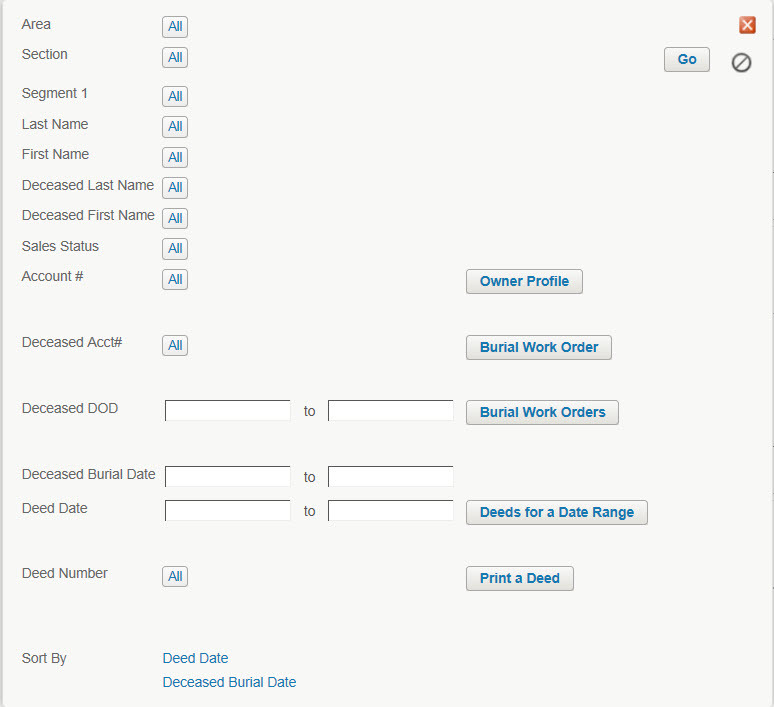 A special Cemetery lookup system is designed for query only. 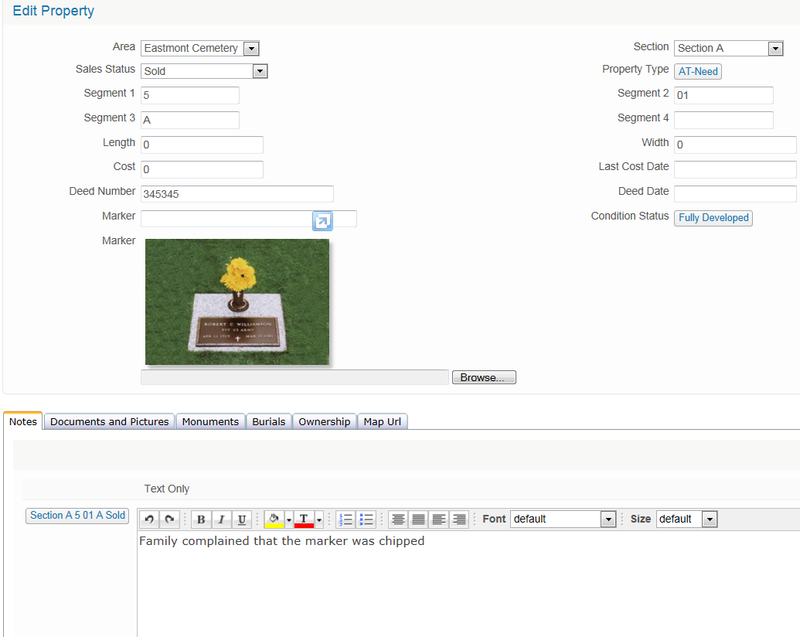 Easily create work orders for your grounds people. 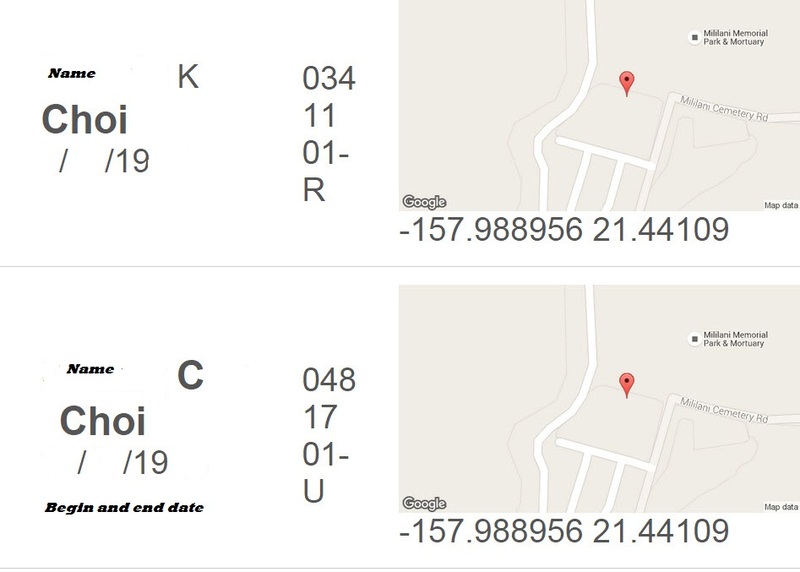 Zoom into your live linked map and show them who is buried near the site. Print single Burial arrangments, or a group of them by the date range. Print single deeds, or all the deeds for a date range. 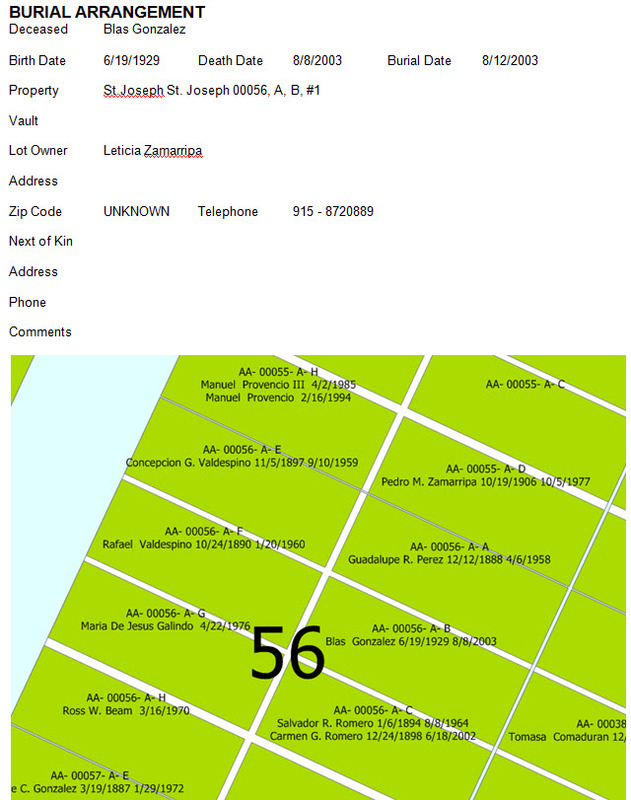 Unlimited notes for each property space. 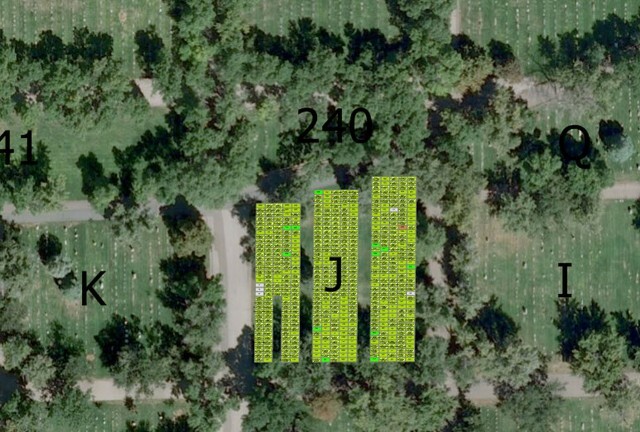 GIS Maps have an Earth view overlay to give you the ability to see an aerial view of your entire cemetery, and the layout of each section. Zoom all the way in, to see the actual burials.